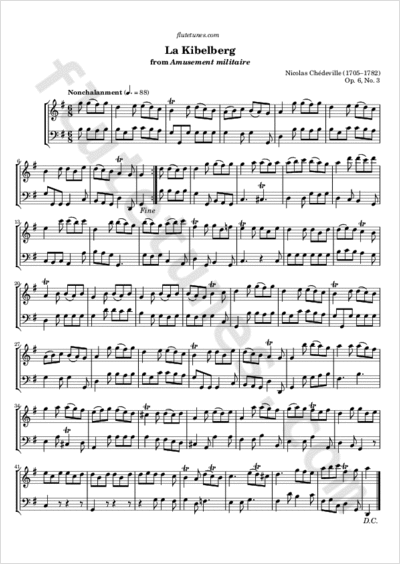 This fanfare is the seventh movement of Amusement militaire, a suite for solo instrument (“musette, vielle, flute and oboe” according to the original edition) and continuo by the French Baroque composer Nicolas Chédeville. As with several other Op. 6 movements, the title probably refers to a German town; possibly Kübelberg, which is located between Kaiserslautern and Saarbrücken, about 25 km from the current French border.